The rooms upstairs have been upgraded recently The telephone in one of the rooms was not working and was replaced when reported. Hotel is walking distance to the main city square The restaurant was very good. Best hotel we've ever stayed in. Beautiful atmosphere and the friendliest staff. The property was really nice and in a great location. The staff was great as well. The only downside was that we didn’t have hot water on the morning of our departure. Besides that one point we really liked the place. The location was perfect. So close to the Plaza de Armas, and yet still quiet. The staff were all very helpful! I enjoyed the courtyard style and the glass sunroof. The only downside was that the bartender was also used in other areas of the hotel so he was often out of the bar area when we wanted service. The renovated convent is beautiful. The only thing missing is a small gym. It would only require a small room with some workout equipement. 10 minute walk to the main square ( plaza de Armas). 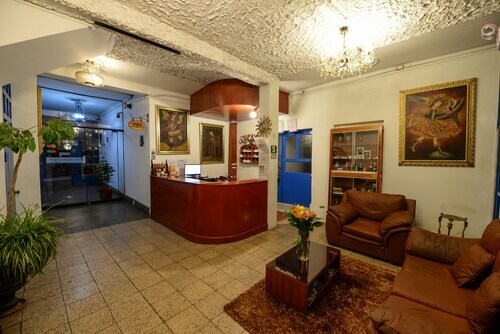 It conveniently located, about 7-10 minutes from Plaza De Armas. Plaza de Armas, everything is there, festivals dance, restaurants, massages. The hotel is right on the Plaza de Armas. 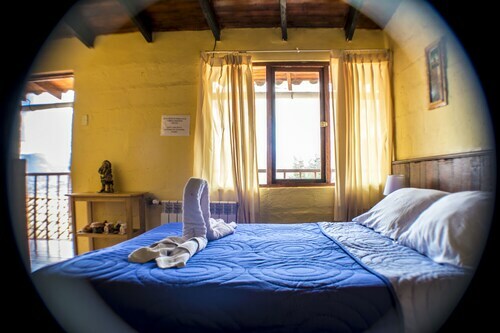 Upon our return from trekking Machu Picchu, we stayed in an upgraded room which is a bit bigger than the standard room with the great view of the city and Plaza de Armas and distant mountain. Plaza de Armas is located in a historic area of Cusco Historic Center known for its major shopping area. 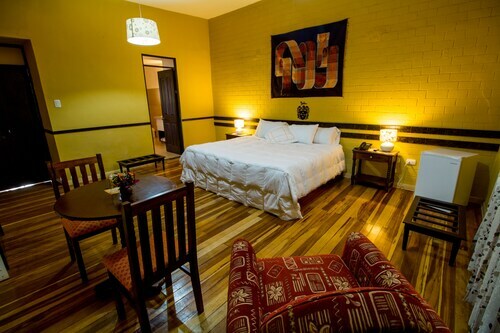 Cusco Historic Center is home to 492 hotels and other accommodations, so you can find something that's perfect for your stay. Antigua Casona San Blas: With a stay at this 4-star hotel, guests can enjoy access to free breakfast and a restaurant, along with free WiFi. 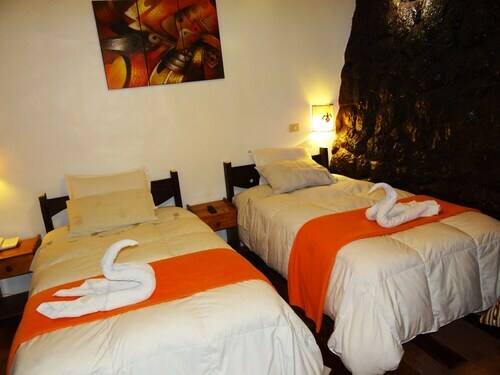 Our customers like its quiet location and clean, comfortable rooms. JW Marriott El Convento Cusco: This 5-star hotel features a full-service spa, 2 restaurants, and an indoor pool. Our customers like its dining options and bar. 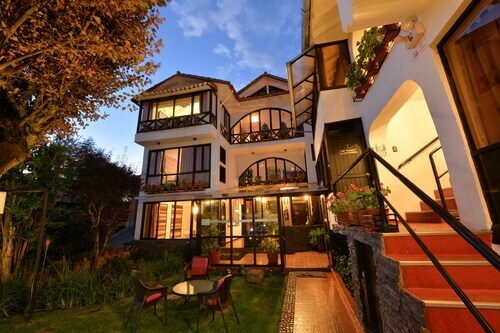 Ramada Costa Del Sol Cusco: This 3.5-star hotel features free breakfast, a restaurant, and free WiFi. It's a favorite with Expedia travelers for its dining options and breakfast. After you've visited Plaza de Armas, you can discover everything there is to see and do within a few miles of the area. Study the collections at Inca Museum, Museum of Contemporary Art, or Cusco Museum of Popular Art. Explore notable local landmarks like Cusco Cathedral, Church of the Company of Jesus, and Plaza de las Nazarenas. You might spend a leisurely day outdoors at Plaza Tupac Amaru and Agua Buena Recreational Park. La Merced Church and UNSAAC Yale International Center are both worth a visit while you're checking out the area. You might also stop by ChocoMuseum, located 0.1 mi (0.2 km) from Plaza de Armas, or Pre-Columbian Art Museum which is 0.1 mi (0.2 km) away.